Thailand's immigration police chief met Tuesday with officials from the Saudi Embassy in Bangkok, as Saudi Arabia tried to distance itself from accusations that it attempted to block a young woman's effort to flee from her family and seek asylum abroad. 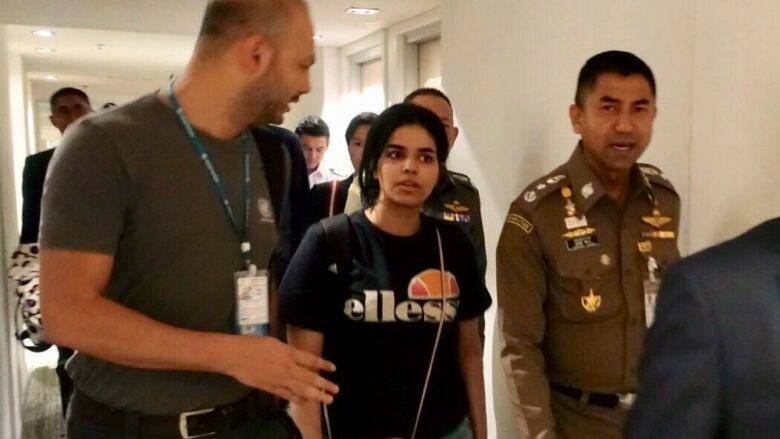 Rahaf Mohammed al-Qunun, 18, arrived in Bangkok from Kuwait late Saturday after slipping away from the family she has accused of abusing her. Qunun said it was her intention from there to seek asylum in Australia, but she was stopped by officials in Thailand, who confiscated her passport. Her urgent pleas for help over Twitter from an airport hotel room garnered tens of thousands of followers and the attention of the UN's refugee agency, the UN High Commissioner for Refugees. Public pressure prompted Thai officials to return her passport and let her temporarily stay in Thailand. Qunun, who expressed a desire to make an asylum claim alleged several times that Saudi officials were involved in seizing her passport. However, in repeated statements, including one issued Tuesday, the Saudi Embassy in Thailand said it is only monitoring her situation. Its latest statement, which described Qunun's case as a "family affair," said Saudi Arabia did not demand her deportation back home. The embassy — and Thai officials — earlier also said Qunun was stopped by Thai authorities in Bangkok because she did not have a return ticket, a hotel reservation or an itinerary to show she was a tourist, which all appeared to have raised a red flag about the reasons for her trip. 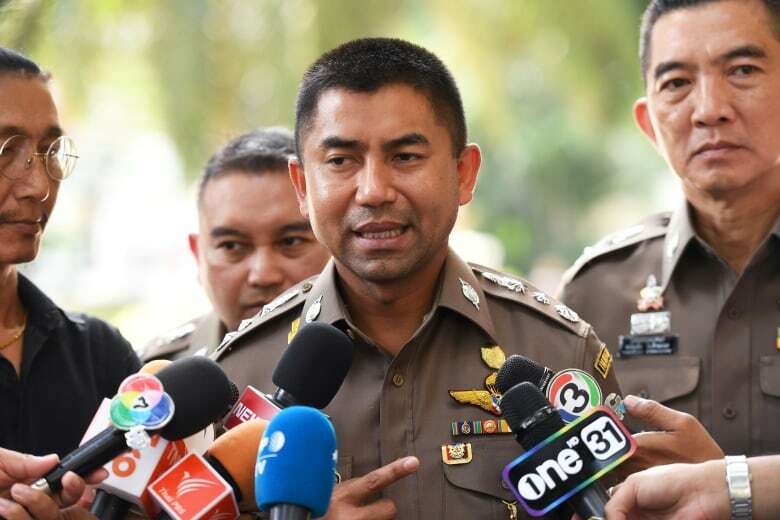 Thailand's immigration police chief, Maj.-Gen. Surachate Hakparn, said to reporters Tuesday that Saudi diplomats told him they are satisfied with how her case had been handled. "The position of two countries on this matter is the same — that the priority is to provide her safety. We are both concerned for Miss Rahaf's safety and well-being," the immigration police chief said. He said Qunun's father and brother were due to arrive soon in Bangkok, but it was her decision whether to meet with them. On Twitter, she has expressed fear of such a meeting. The father had been expected Monday night. Australia's Home Affairs Department announced late Tuesday it would consider Qunun's application for asylum if she was found to be a genuine refugee, and called on Thai authorities and UNHCR to assess her claim as quickly as possible. "The government has made representations to the Thai government and the Bangkok office of the UNHCR about its serious concerns on this matter and the need for Ms. al-Qunun's claim to be assessed expeditiously," the statement from Home Affairs said. "Any application by Ms. al-Qunun for a humanitarian visa will be carefully considered once the UNHCR process has concluded. Whether someone holds a visitor visa does not have a bearing on this process." A spokesperson for the UN High Commissioner for Refugees, Babar Baloch, said at its Geneva headquarters that it could take several days for the agency to look into Qunun's claims. He said it was "too early to tell" if she will be granted asylum or refugee status. "For us, all individual cases are alike. It's different the way we get access to those individuals ... [what's] different in this case is the wave of all of the voices of solidarity and support came together, joined up in terms of caring for this individual," he said. "This should be the standard for any individual who claims that his or her life is in danger." The organization's Australian director, Elaine Pearson, said she had seen electronic confirmation of her tourist visa, but that Qunun could no longer access her visa page on Australia's immigration website on Tuesday, sparking concern the document had been cancelled. An Australian visa is usually processed electronically and not stamped in one's passport, but confirmed by a document that the visitor can print out.